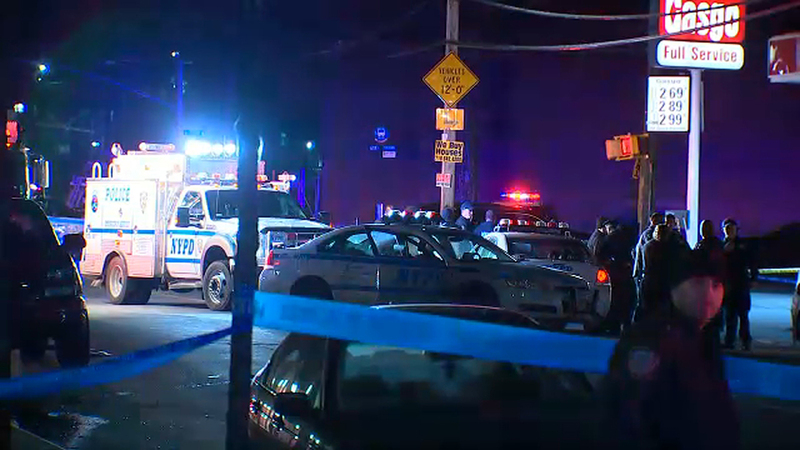 CANARSIE, Brooklyn (WABC) -- A robbery suspect was shot by an off-duty police officer at a gas station in Brooklyn, sources tell Eyewitness News. It happened just before 11 p.m. Monday on Remsen Avenue near Avenue D in Canarsie. Police say the man who attempted to rob the officer was shot and taken to Brookdale Hospital in critical condition. The circumstances that led to the shooting are not yet clear. Police are looking for two other suspects. One police officer suffered a minor injury.